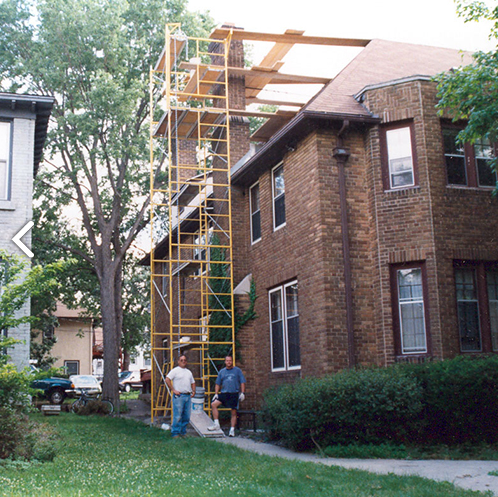 Here in the Minneapolis area, quality chimney repair or replacement is vitally important. Our weather conditions may have caused your bricks to crumble or mortar to deteriorate. If you have seen this issue with your chimney call Dayco General for a complete inspection as soon as possible. Do not neglect chimney maintenance. free review and repair estimate of your chimney. It is simple enough to keep your fireplace clean and in good shape, but your chimney is another matter. It may be difficult to tell if your chimney has structural damage, mortar deterioration or actual physical blockages without an appropriate inspection from a CSIA certified professional. Old chimneys made of stone or brick eventually require reinforcement or rebuilding. Bricks are prone to crumbling or eroding as a result of many years of freeze/thaw conditions, especially if your home was built over 30 years ago. A complete replacement is not always necessary, but our certified chimney repair technicians from Dayco General will meet with you to review the best course of action for any type of chimney repair.